Located in one of the more secluded corners of this world-class resort, Las Palmitas will appeal to those who want to make the most of everything La Manga Club has to offer, most notably the exclusive and private luxury villas. Las Palmitas is an exclusive development of spacious and well appointed villas, all built in traditional Spanish style. Each property comes with a large living area, separate kitchen and diner, and is fitted out with all the latest conveniences, including air-conditioning. 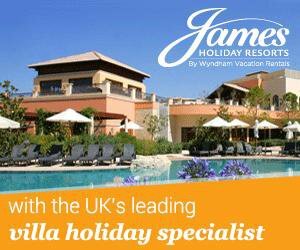 More Las Palmitas accommodation* available at from £93 per night. These are self-catering properties that can be enjoyed in great comfort all year round. Soak up the sun from your own terrace or balcony, eat al fresco, or make use of the built-in barbecue to feed the family and entertain your friends. The detached villas at Las Palmitas are centred around a large, communal pool that is heated for maximum comfort. The pool is for the exclusive use of residents, so you don't have to fight to reserve a sunbed. There is also a separate paddling pool for children, making it ideal for safe and relaxing days in the sparkling Murcia sunshine that all the family can enjoy. One of the newest developments in the resort itself, Las Palmitas is within easy reach of La Manga Club’s many fantastic facilities, including championship golf courses, state of the art tennis centre, dance academy, private beach, jogging trails – the list goes on. From your villa, you are minutes away from some great shops, bars, and restaurants, and only five minutes from the small Belaluz community. Las Palmitas – what more could you want from your 2018 holiday?